You are here: Home / The Writing On My Wall... / 13 Boo-tiful Ideas for Halloween Decor! 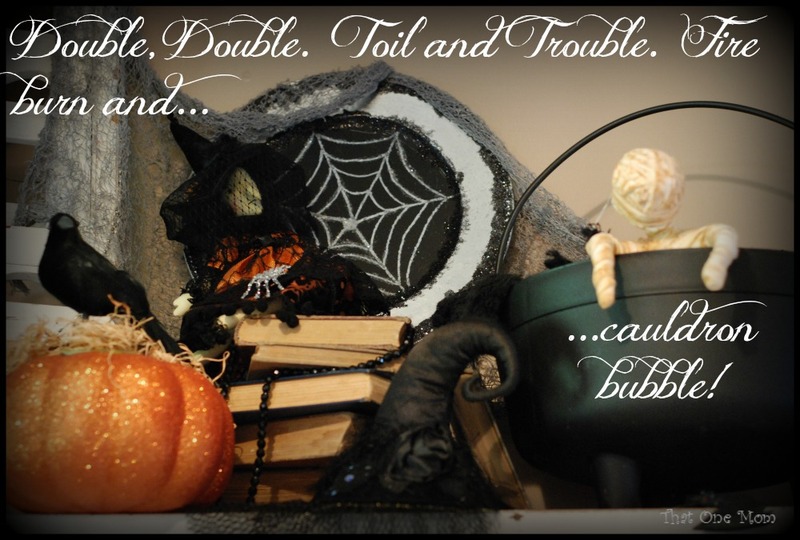 13 Boo-tiful Ideas for Halloween Decor! It’s October, boys and girls, and Halloween is fast approaching. Have you started decorating yet? 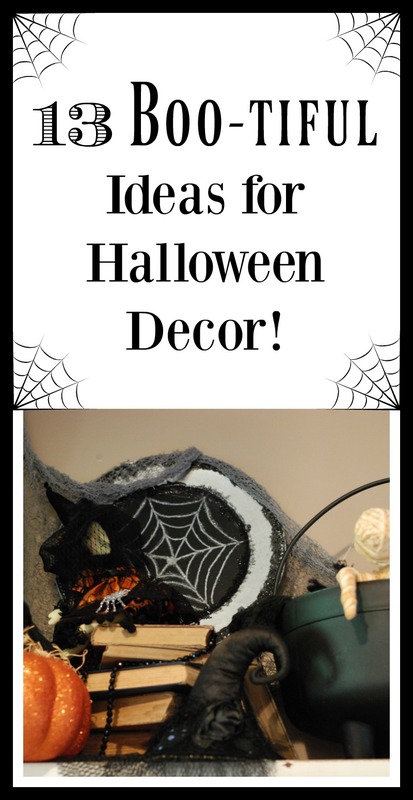 I thought maybe we could use a little Halloween decor inspiration, so I gathered up a few ideas and I’m sharing them with you today! 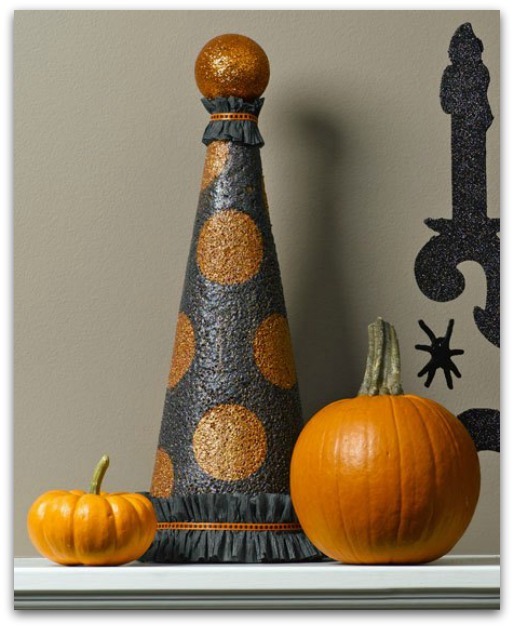 Halloween decor ranges anywhere from spooky to silly, so it’s easy to find ideas to fit with your theme. It’s also easier to use what you have, because a little black paint or a few cobwebs (real or fake–it’s all good) can go a long way! 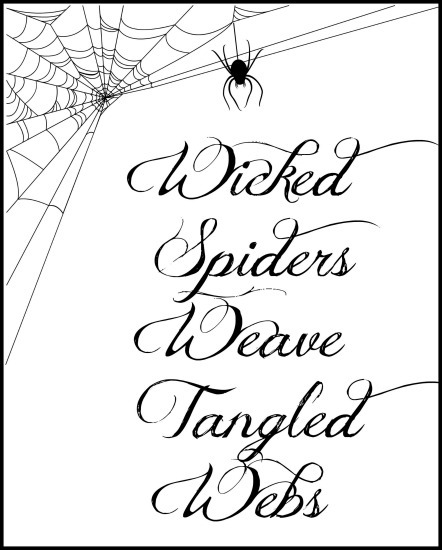 Wicked Spiders Printable…Here is a free printable from yours truly!! 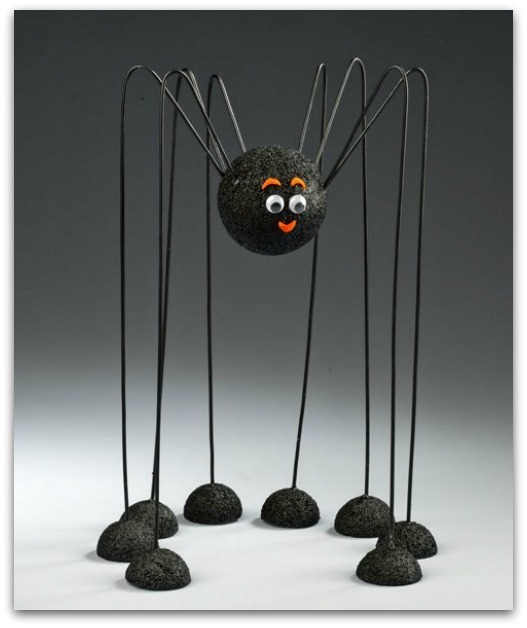 Long Legged Spider…This spider from Crafts ‘n Coffee is actually one of seven crafts in the blog post, but it’s definitely my favorite. 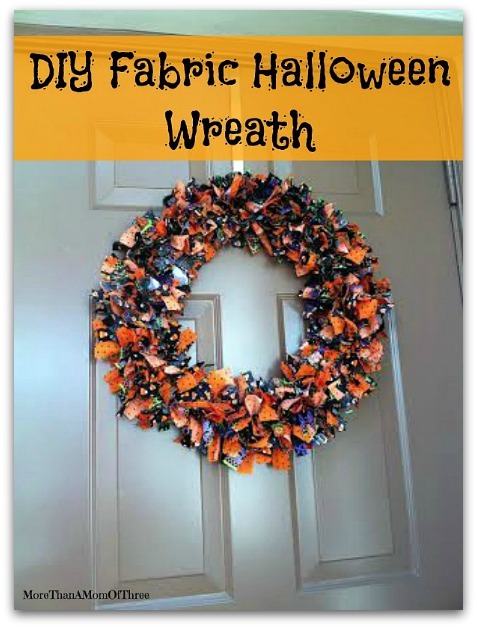 Check out their Halloween page for some more super cute craft and decor ideas! 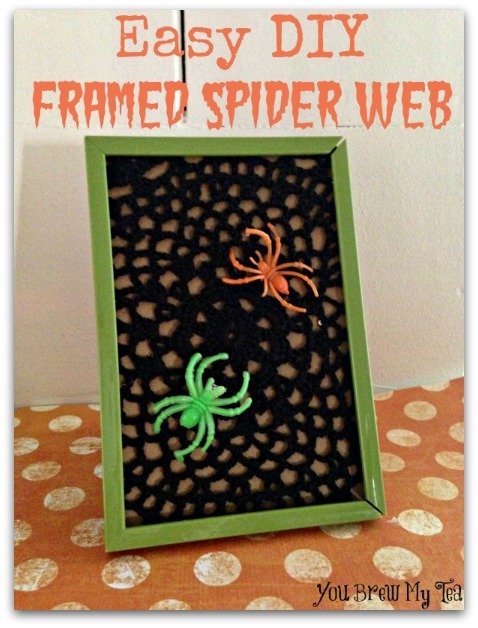 Easy DIY Framed Spider Web…You Brew My Tea is sharing a really easy framed spider web. I think I’ll glitter up some of my spiders for this one! 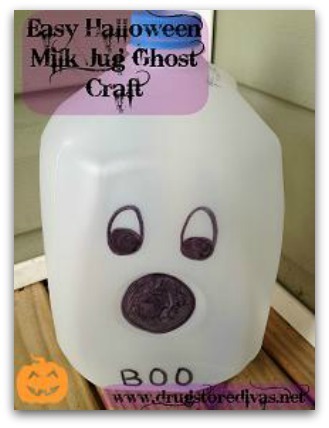 Milk Jug Ghost…This milk jug ghost from Drugstore Divas would be a great craft to do with the littles. They could decorate it however they wanted (even stickers would work!) and then you could put a battery operated tea light or glow stick in it for fun! 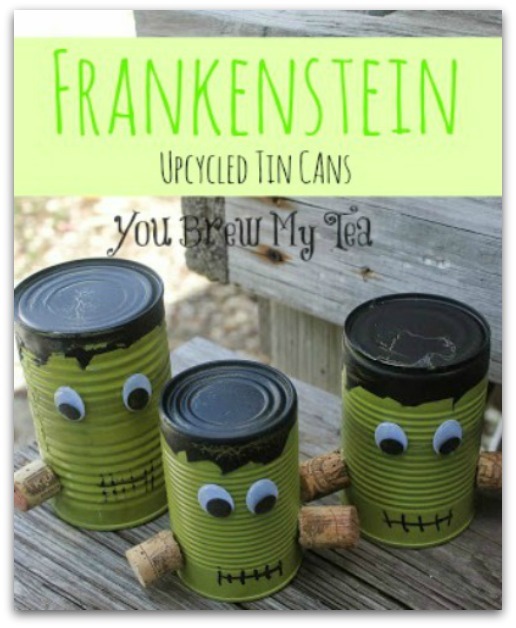 Frankencan…I have to admit that I frequently forget that I want to make upcycle crafts out of tin cans and throw them away instead. I need to start saving some of those! 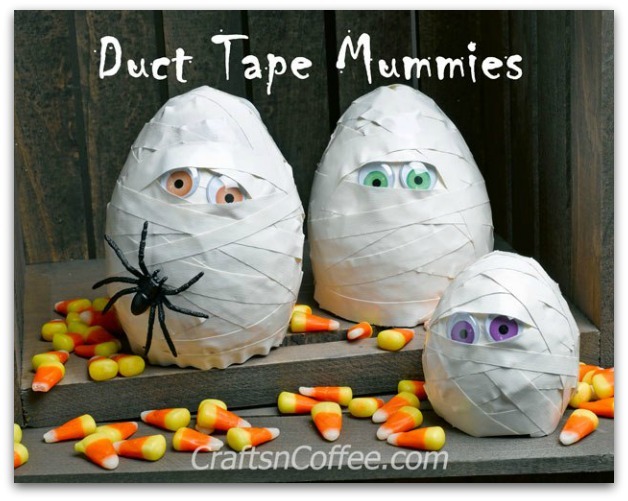 This would be another fun craft for the kids to make. Ghost Cloche…It may not be possible to express exactly how in love I am with this. 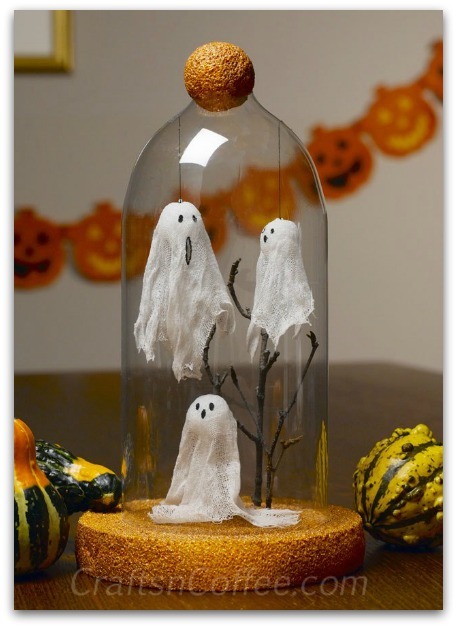 Ghosts in a jar…spooooooky! 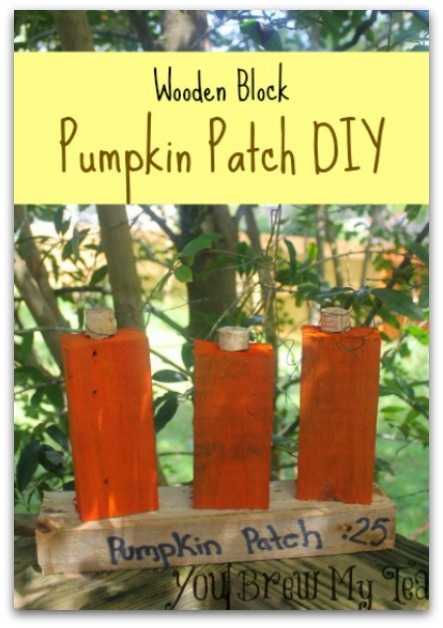 Pumpkin Patch...This wooden pumpkin patch would actually be easy to make with cardboard boxes or styrofoam–if you don’t have any wooden blocks that need to be used! 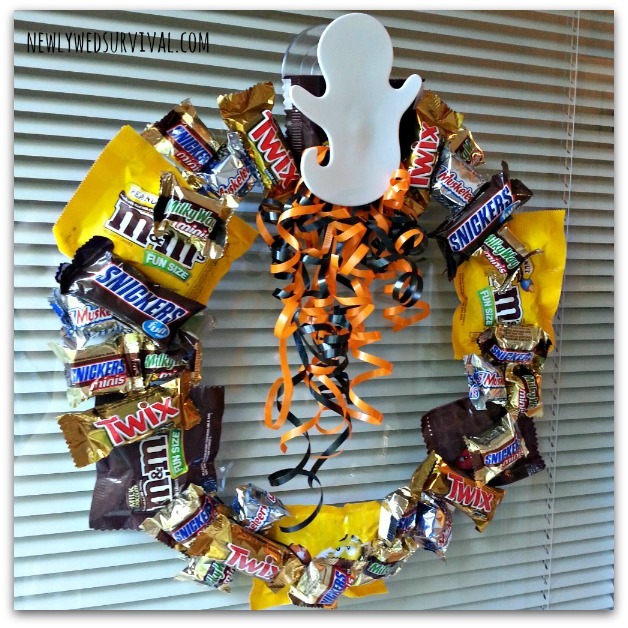 Candy Wreath…This candy wreath from Newlywed Survival looks like a fun idea. I definitely couldn’t put it on my front door, because the birds and other critters would try to get it. Let’s just be honest…I probably couldn’t keep out of the candy long enough to put it together anyway. It would be a fabulous idea for an office or classroom setting though. Halloween “Hat”…Is it a witch’s hat? A clown hat? A topiary? 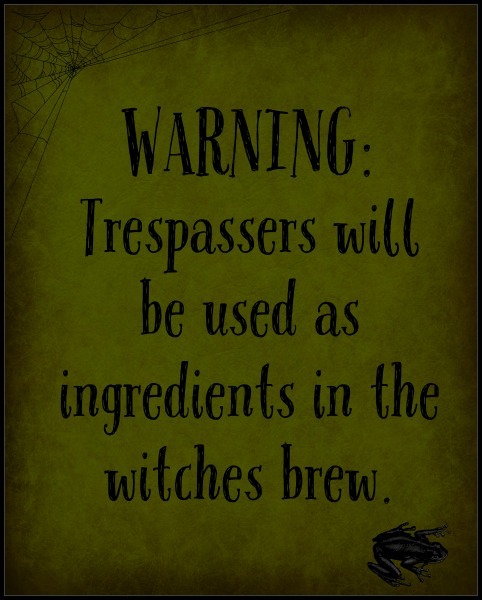 Doesn’t matter…it’s “bewitching” either way!! 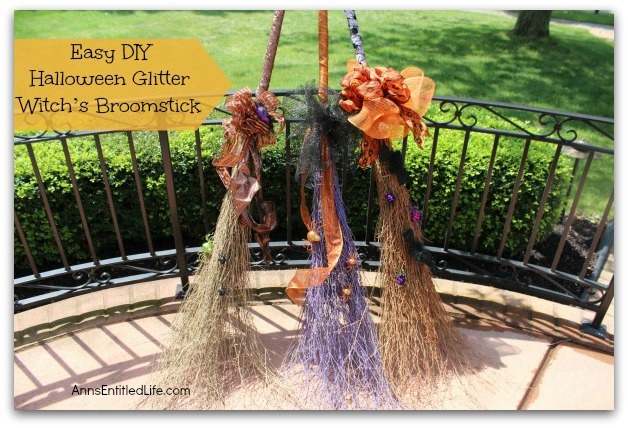 Witches Broom…Every good witch needs a variety of brooms. Anns Entitled Life shares an easy DIY so that we can have as many as we need!! 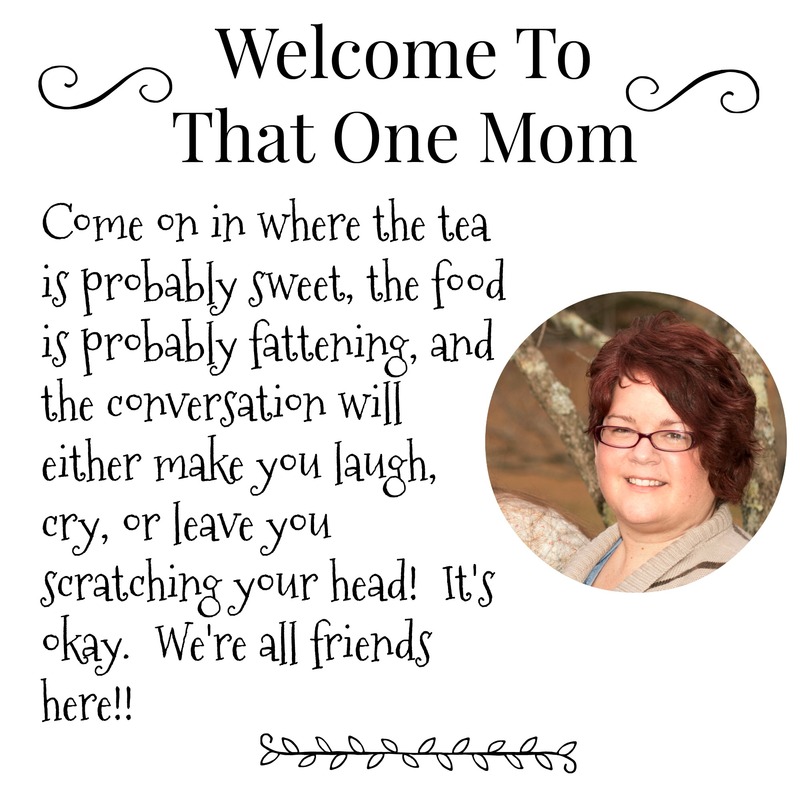 Witches Brew Printable…And of course, another free printable from That One Mom! As always, don’t be afraid to use what you have to decorate with. Upcycle something or create something new. Pick random things from your house that fit with the color scheme and try them out. At the very worst, you say “nah” and choose something else!